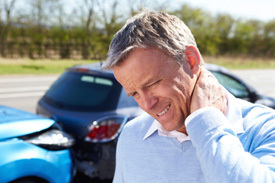 Injuries from an auto-accident can include whiplash to the neck, muscle sprain/strains throughout the back, numbness and tingling into the extremities, and loss of range of motion. These injuries are usually of complex severity, even in minor fender bender accidents, and can lead to long term chronic changes if left untreated. Once we have identified areas of restricted joint motion, intervertebral disc injury, muscle spasm, and ligament injury we may perform a digital x-ray(in-house) or an MRI of your spine to develop the best treatment plan for you. In the acute phase our goal is to reduce inflammation and pain using various therapy modalities including physiotherapy, massage, gentle chiropractic adjustments, and stretching. Once your pain levels have improved, we will begin the strengthening and stabilization process to restore your body to its optimal function. Let us help treat your pain and get you feeling better quickly! Flexion-Distraction Technique: This hands-on technique is a gentle, non-thrusting type of spinal manipulation to help treat herniated discs with or without arm pain. Your whiplash injury may have aggravated a bulging or herniated disc. 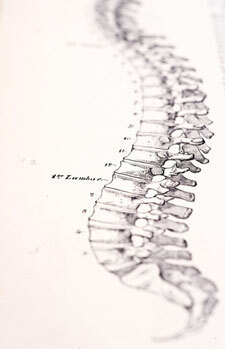 The chiropractor uses a slow pumping action on the disc instead of direct force to the spine. Instrument-Assisted Manipulation: This technique is another non-thrusting technique chiropractors often use. Using a specialized hand-held instrument, the chiropractor applies force without thrusting into the spine. This type of manipulation is useful for older patients who have a degenerative joint syndrome. Specific Spinal Manipulation: The chiropractor identifies spinal joints that are restricted or show abnormal motion (called subluxations). Using this technique, he or she will help restore motion to the joint with a gentle thrusting technique. This gentle thrusting stretches soft tissue and stimulates the nervous system to restore normal motion to the spine. Don’t wait! Contact us today to make an appointment with us!